I am honestly so thankful for so many things every day of my life, and I try my best to appreciate and cherish everything I am thankful for. Today, I want to show you all how THANKFUL I am to you all!!! I am honestly so happy and grateful for each and everyone of you that comes to my blog, follows me on instagram and twitter, liked my page on facebook and wherever else I function on the web. You guy make blogging so much fun, and I am so thankful for you all. To show how thankful I am, I have a giveaway for you all!! Whooooooooo Hooooooo!!!! This giveaway is also my way of saying THANKFUL for being with me for 2 years now! 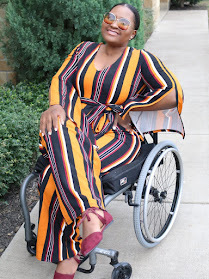 I have combined my 2 years Blog Anniversary and Holiday Giveaway all in one! Now let's get to the fun prizes!! 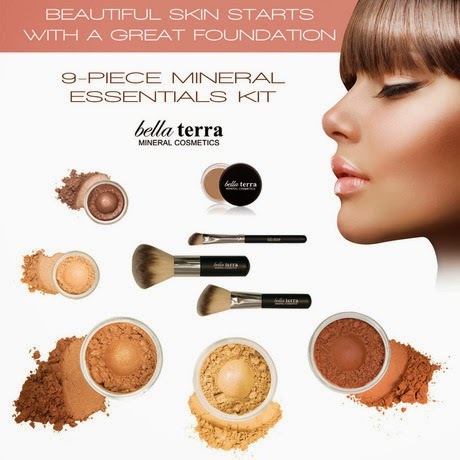 1 Winner gets a Bella Terra Cosmetics Mineral Essential Kit. The winner gets to choose their own Colors/Shades. I've reviewed so many lovely goodies by Bella Terra and I LOVE THEM ALL. Click Here to see some of my reviews. 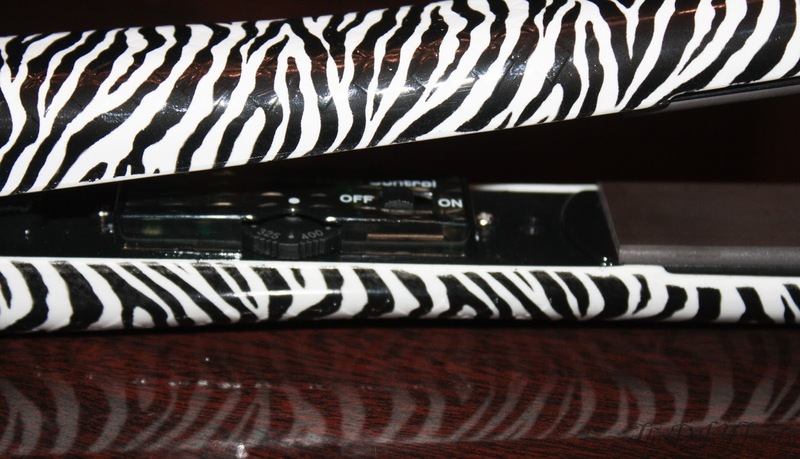 1 winner gets a KOR Hair Straightener and KOR Naturals Protein Hair Masque (Both have been reviewed on my blog, just click the links to read). 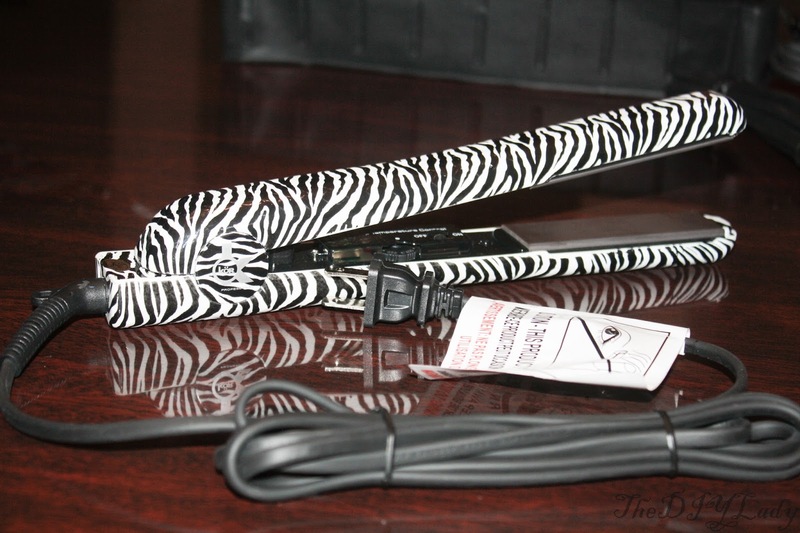 Kor's Hair straightener is AMAZING! 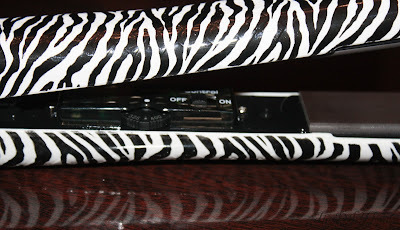 Kor Hair Straightener in Zebra print. 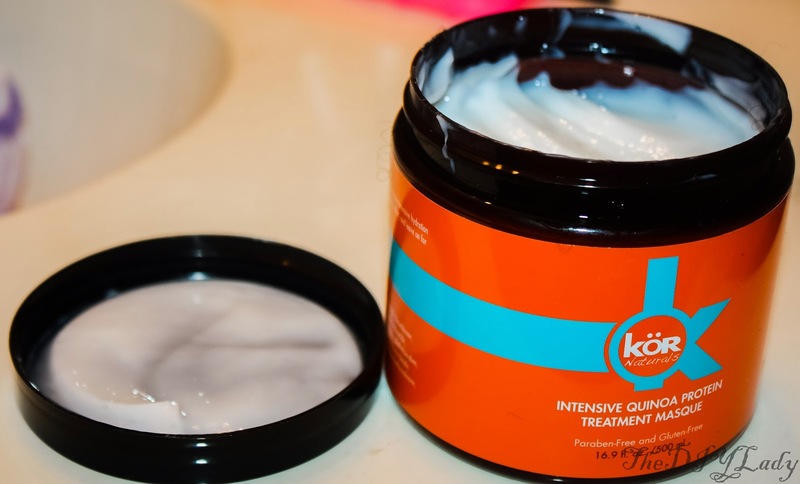 Protein Masque for soft healthy Hair. 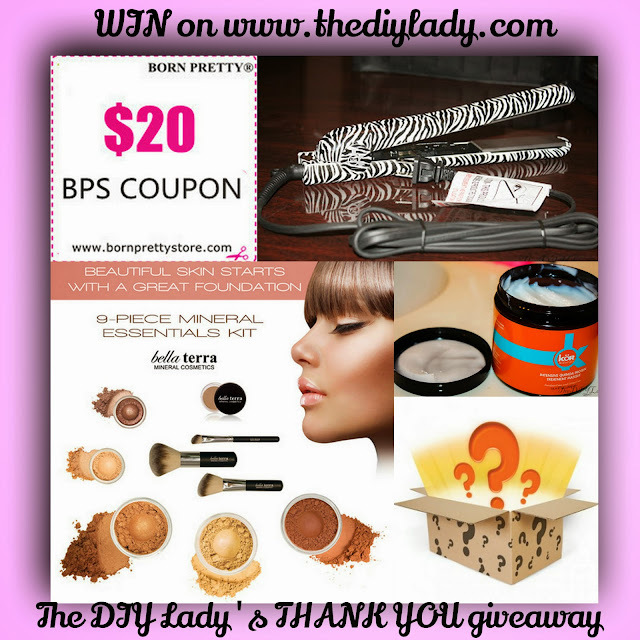 1 Winner wins a $20 Born Pretty Store Gift Card. BUY Whatever you want on BPS. Shipping is always free, so ENJOY! In case you're wondering where the nail polishes are? Lol.. This Fourth Gift includes LOTS of Polishes! What is the prize you say?? Well, it's a Thankful/Christmas-y PACKAGE FROM ME!! Filled with beauty products, Nail Polishes, and Whatever I choose to put inside the box. I have been planning the gifts in this box for MONTHS and let's just say, I wish I could enter my own giveaway! Lol.. I wanted to show a picture of this, BUT I honestly want to keep this a secret so that the winner would hopefully be MIND BLOWN when s/he receives! Talk about an amazing Holiday Gift. Now the Boring Part, THE RULES! - There will be FOUR WINNERS. - This giveaway is Open internationally! - Please inform your parents if you're under 18. Your address will be needed to send your Prize. - Winners will be notified at the end of the giveaway. Failure to contact me/reply my message with your mailing address after 48 hours of being notified of your winning, will result into another winner being randomly picked. This Giveaway is open INTERNATIONALLY and ENDS DECEMBER 18, 2013 . To Enter, please fill in the rafflecopter widget below. I know it's long, but couldn't think of better. And That's it for now sugars. I Hope you enjoy your thanksgiving day and I hope you continue visiting my blog. P.S: Here's a sneak peek of what I have on my nails this thanksgiving. Nothing fancy, just simple and chic. Below is Cult Nails : Manipulative which I will blog about fully soon. **Prizes from Bella Terra Cosmetics, Kor Hair, and Born Pretty Store were provided for the purpose of this giveaway by each respective company. The DIY Lady thanks you all deeply. ONCE AGAIN, Thanks for all your support. This DIY Lady LOVES YOU!!! I'm thankful for so many things but most of all for the beautiful & healthy little boy that I have! I'm thankful for my little son :) I love him soooo much! I'm thankful for many things this year but i am most thankful for my 3 kids (even though one of them isn't technically a kid anymore) and to get to celebrate one more Thanksgiving with my (step) father, as this will most likely be his last. he has end stage liver cancer/liver failure. Most thankful for my son! Then my family and new job! Thank you for chance at this giveaway!! I'm most thankful for my daughter and boyfriend. am most thankful for friends and family. Awesome giveaway! I'm thankful for my amazing parents! I am most thankful for my family...and my supportive husband! Thanks for a great giveaway! I am thankful for family, health and a wonderful support system. I am thankful for my family and a great job! I'm thankful for my wonderful boyfriend. He is the sweetest and he makes me feel special every day we are together. All my bad crappy relationships have made me appreciate him so much more! I smiled :) I'm thankful for my family, my husband, my house, and my three kitties. I'm very thankful for coming from such a wonderful family, and for my health! I'm thankful for waking up every morning with my loved ones around me. I smiled! :) I am most thankful for all the effort and money that my parents have put into my ice skating, which allowed my to go to nationals this year! For my family, my husband, my lifeeeeeee :D Big Smile to you too! My precious family, parents & sisters, they gave me everything they possibly could, and even some things they probably couldn't. My sisters, they are wonderful, my best friends, they know me in a way that nobody else can. Most thankful for my 3 amazing children, loving and hilarious husband and my 2 adorable Japanese Chin doggies!!! I am thankful for having a son who quickly volunteered to give me a kidney for my needed kidney transplant! 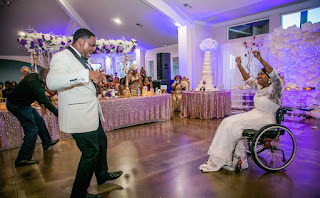 Also for having a husband who has stuck eith me thru all my illness! I'm thankful for my wonderful fiance, who always makes me smile. Well, maybe not always, but very often! I'm most thankful to my family for always being there for me! i'm most thankful for the fact that my family and i are all in good health & happy! I am thankful for my girls. They are a gift from God, and they are my reason for living. I am thankful for my girls, family, and friends. Thanks for a great giveaway! I'm thankful to be able to spend time with both my family and my boyfriend. Moving to university has been hard and I can't thank the trains enough for getting me home! I'm thankful for the wonderful support system I have!